Welcome to Bryan's Homecentre, a family-run business serving Brookmans Park in Hertfordshire for more than 30 years. We pride ourselves in our personal service, extensive product knowledge, ability to meet most requirements, and our competitive prices. 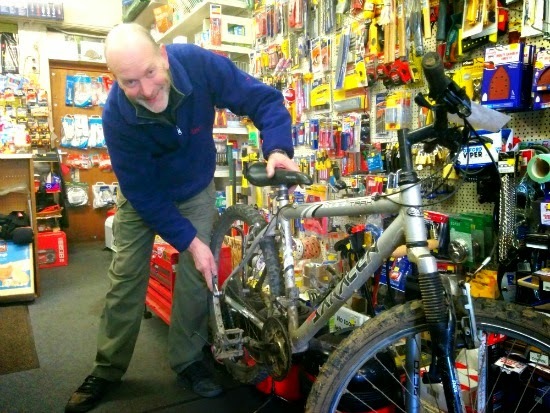 Whether it's a brand new bike you are looking for, or having an old cycle repaired, we can help. If your lawn mower is playing up, we can get it fixed. Or we can sell you a new one or a refurbished model. The choice is yours. If you need a new kettle, a tin of paint, or a particular screw for that awkward job, you have come to the right place. And if your computer is running slowly, or you have a problem with your smartphone, we can fix those, too. If there is anything else you are looking for, just tell us what you need, and, if we don't stock it, we will try to help source it for you. We are at 21 Bradmore Green, Brookmans Park, Hatfield, Hertfordshire, AL9 7QR. There are a couple of parking bays outside the store and several more around the village green. We are a few minutes walk from Brookmans Park Station. The best way to contact us is by phone on 01707 656976. If we are busy with customers, please leave a message and we will return your call.